If you have them already, you’re set. 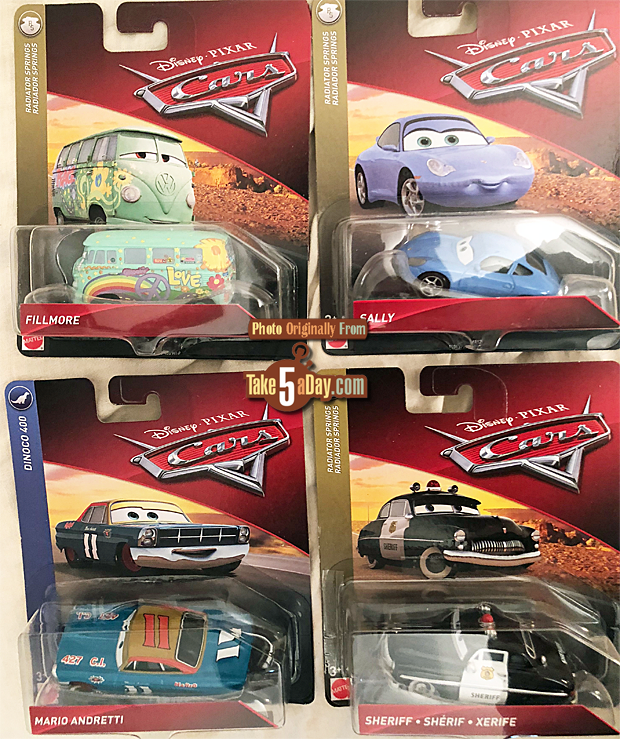 While Fillmore with New Expression & Sally with New Expression was released as Radiator Springs Classics at a store called Toys R Us (if you can remember back that far), it was implied that we might see the new expressions Sally & Fillmore in the regular lineup but not these so far. They are the Fillmore & Sally as we’ve always known them. NOT variants. Same with this Mario Andretti (there is a Metallic version just out now) – one of the few raised metal eyebrows/windshields from a none RS townies … stays that way … same as Sheriff – same as he ever was.